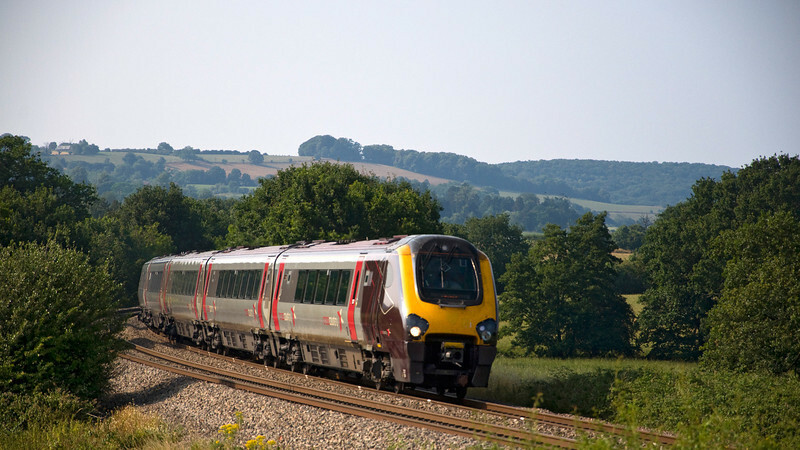 All the pictures in this gallery were taken between Lydney and Gloucester. 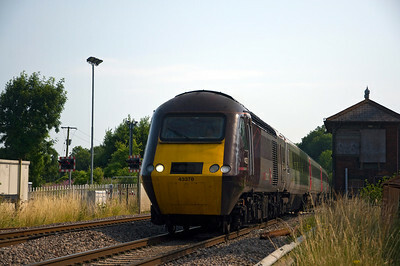 Including a sprinkling of HST's and Voyagers that were being diverted due to engineering works near Bristol. 221138 with 220031 at the rear form the 09:25 Plymouth to Glasgow Central service. 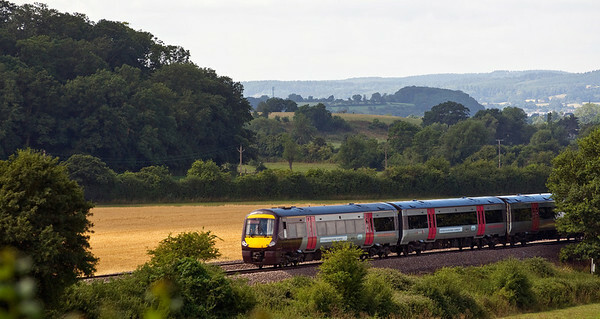 Seen here on the 28th July 2013 near Churcham, on diversion due to engineering works near Bristol. 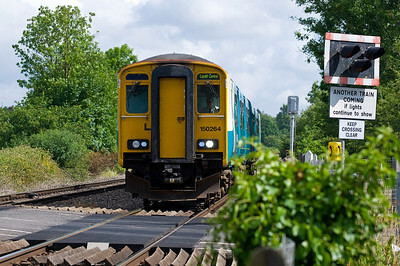 170639 with the 11:45 Cardiff Central to Derby service near Churcham on the 28th of July 2013. 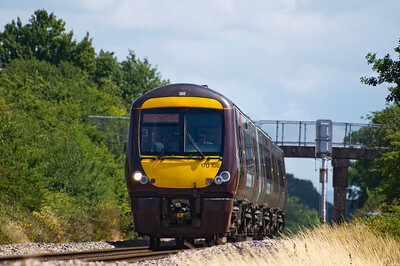 43384 with the 09:00 Leeds to Plymouth service. 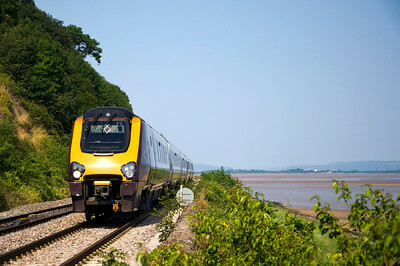 Seen here on the 28th July 2013 near Churcham, on diversion due to engineering works near Bristol. 170108 with the 11:12 Birmingham New Street to Cardiff Central near Churcham on the 28th of July 2013. 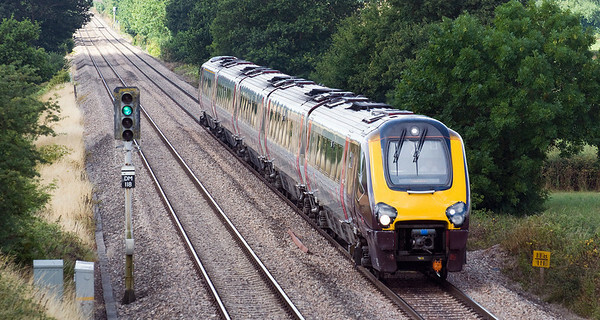 The 10:30 Bristol Temple Meads to Aberdeen service. 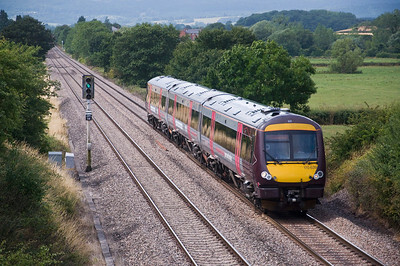 Seen here on the 28th July 2013 near Churcham, on diversion due to engineering works near Bristol. 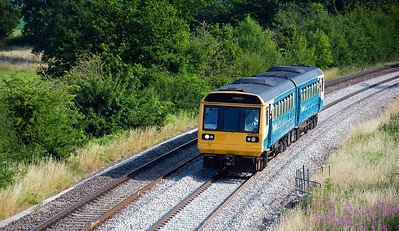 The 10:45 Cardiff Central to Derby service near Churcham on the 28th of July 2013. 150264 with the 10:48 Gloucester to Cardiff Central service. Seen here on the 28th July 2013 near Grange Court. 221139 with the 09:52 Bristol Temple Meads to Glasgow Central. 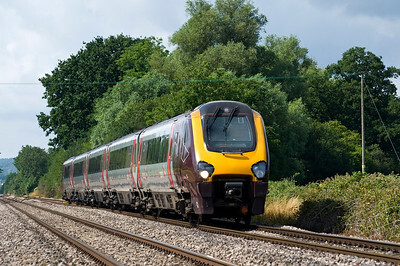 Seen here on the 28th July 2013 near Grange Court, on diversion due to engineering works near Bristol. GBRf's 66736 heads 6E12 the 14:57 Cardiff Docks to Peterborough Greenenergy tanks. 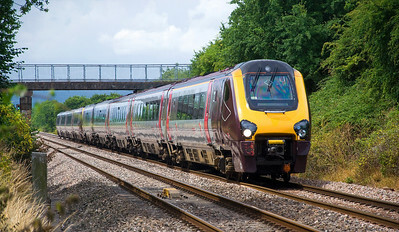 142085 with the 16:23 Cardiff Central to Cheltenham Spa service. Seen here approaching Cockshoot Bridge. 221134 heads the 11:05 Edinburgh to Penzance service. 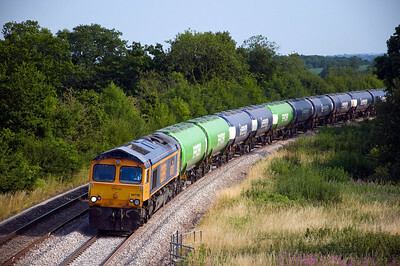 Seen here at Box Farm on diversion due to engineering works. 43378 heads the 11:32 Newquay to Edinburgh service. Seen here passing Awre crossing and the old signal box. On diversion due to engineering works. 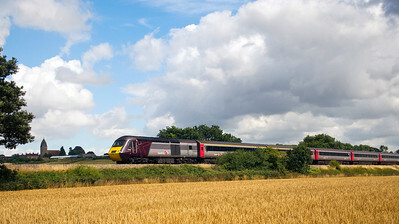 10:08 Edinburgh to Plymouth near Gatcombe. Diverted due to engineering works. 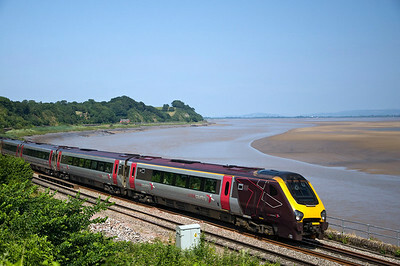 221127 with the 09:08 Edinburgh to Plymouth seen here at Purton, by the River Severn, on diversion.